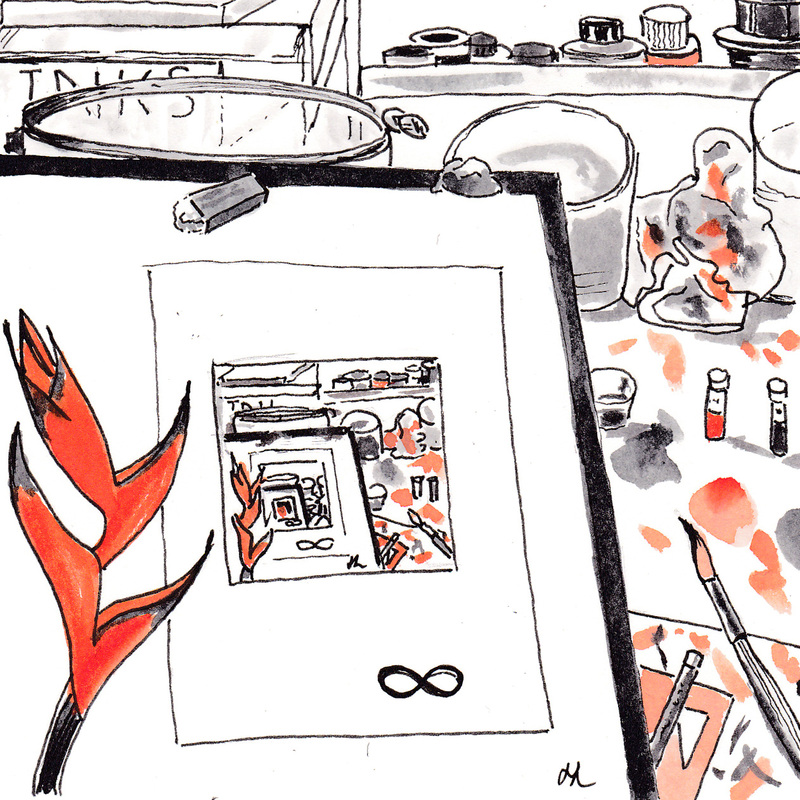 I spent significant time on day 23 trying to catch up with Inktober – as ever – ad infinitum. I decided to sketch my work area. I soon realized that I would need to draw what I was seeing in ever diminishing size to be correct – hence the infinity symbol. The Red Iris is there for hope and strength! This entry was posted in Uncategorized on October 24, 2017 by Helen.